Every time I think of Tiffany I think about three things: how expensive it is, why we all weren’t born rich and that 1961 classic movie “Breakfast at Tiffany’s” starring Audrey Hepburn. 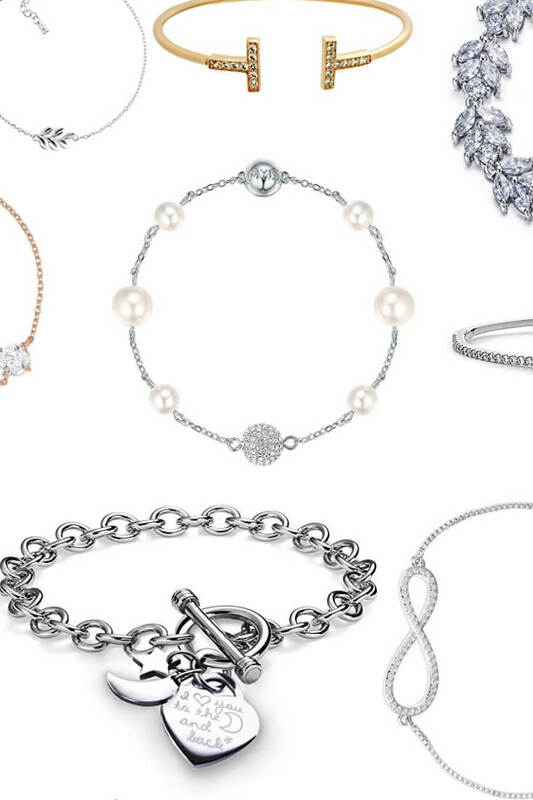 Remember that scene where Audrey Hepburn as Holly Golightly gazes through the windows of the jewelry store while having her early morning coffee and bun? 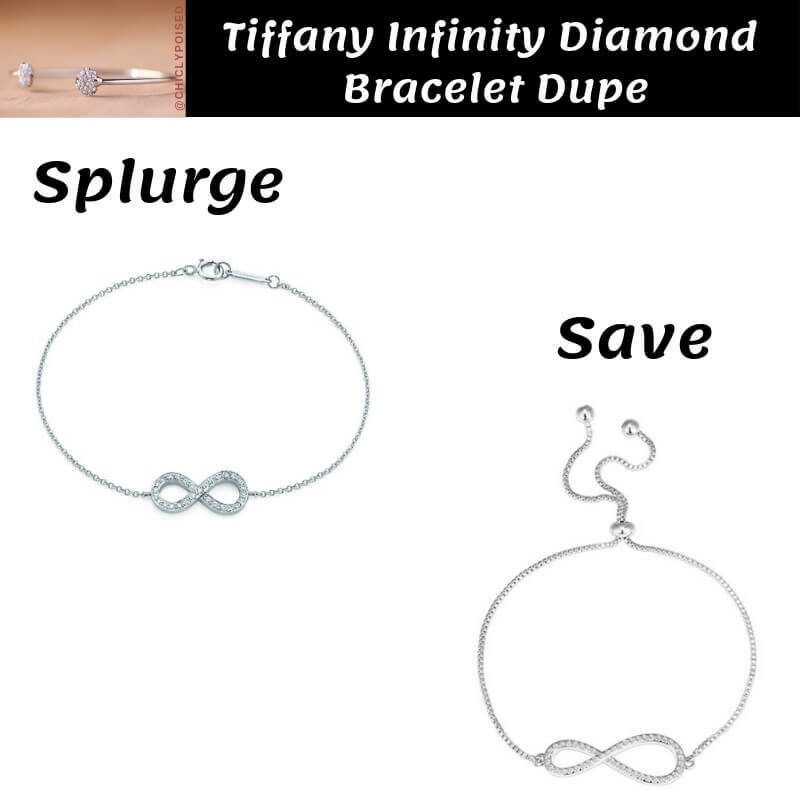 Overall, it’s really one of the classic movies that will forever be viewed as a masterpiece of its time. 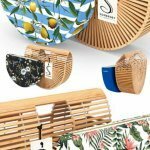 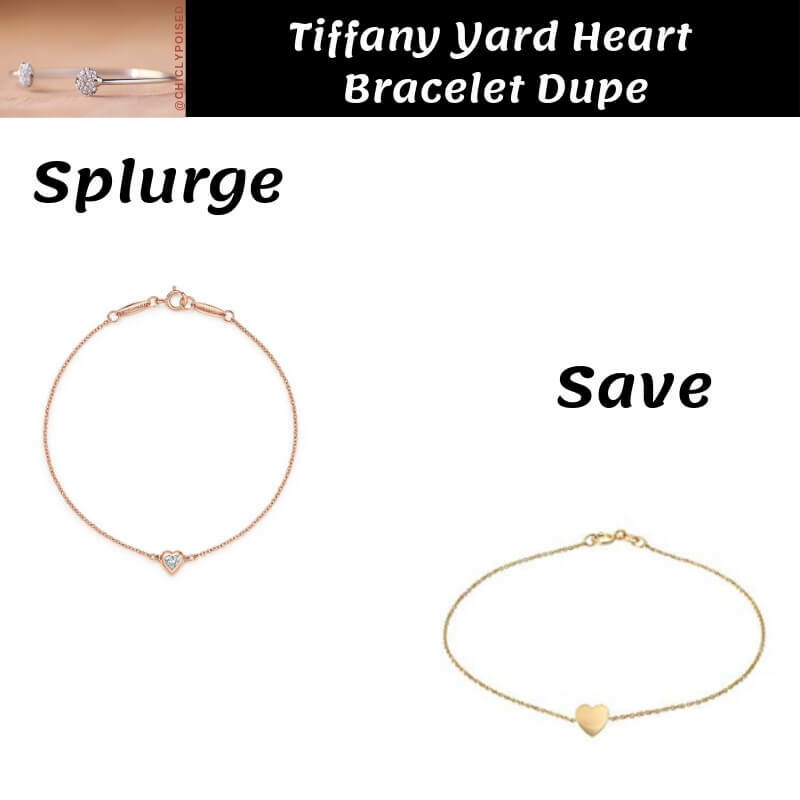 In light of this, this post of written to share a few Tiffany bracelet dupes I recently discovered while snooping around on Amazon. 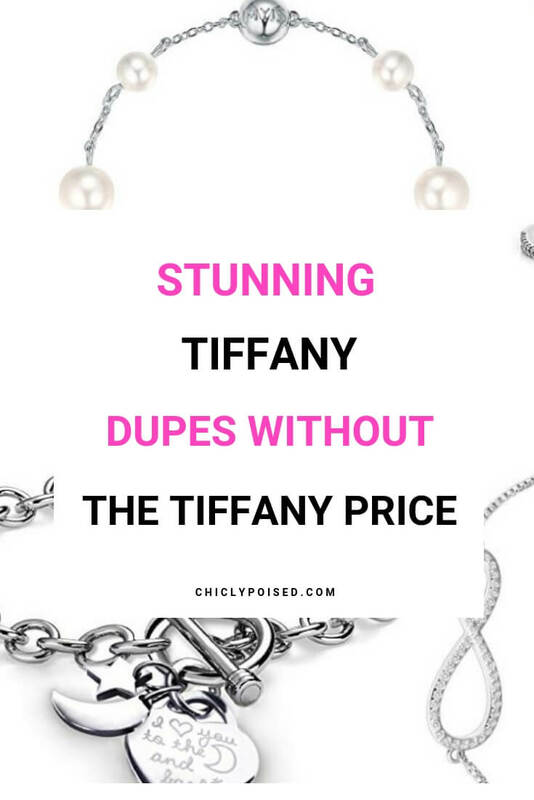 You’ll know I can’t resist a good dupe if you’re like me check out the deals below! 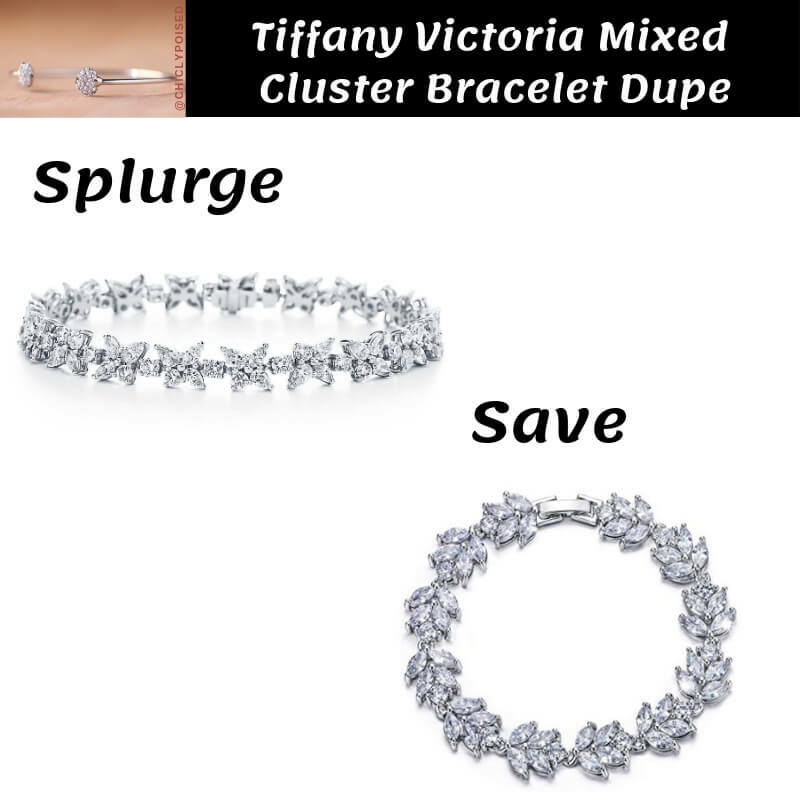 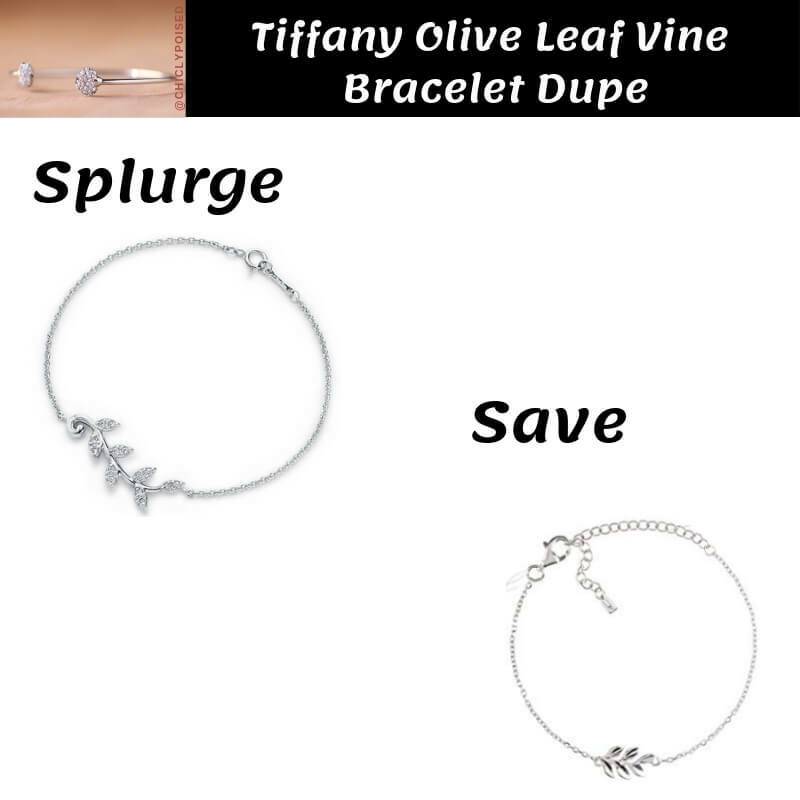 Disclaimer: These Tiffany Bracelet Dupes aka Tiffany Bracelet look-alikes are fashionable costume jewelry hence they are not meant to last as long as the real thing. 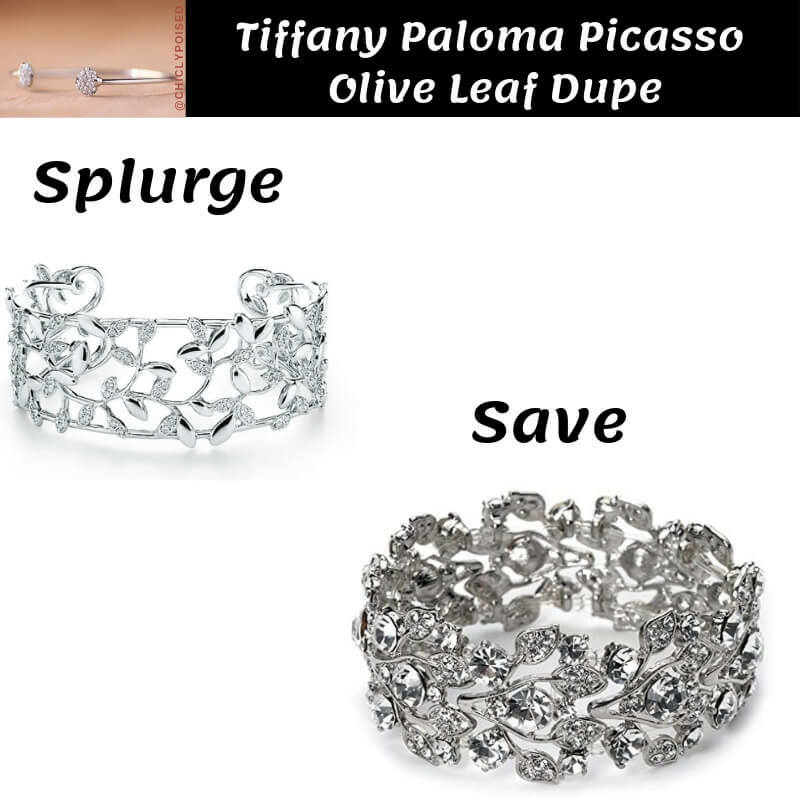 To learn more about how to preserve your costume jewelry be sure to read this post. 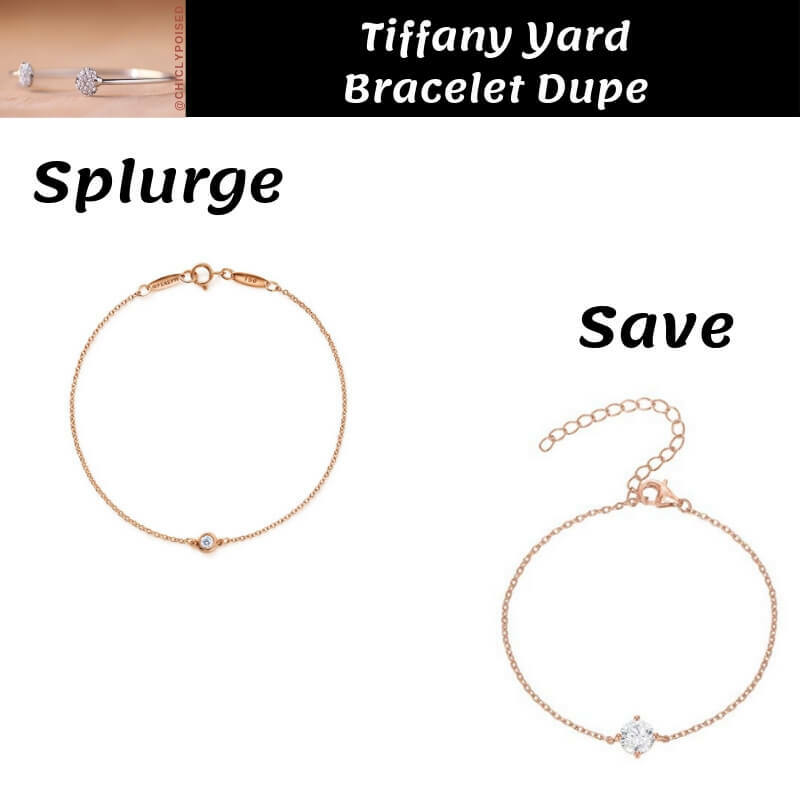 In addition, before you purchase any of the pieces ensure you read both positive and negative reviews. 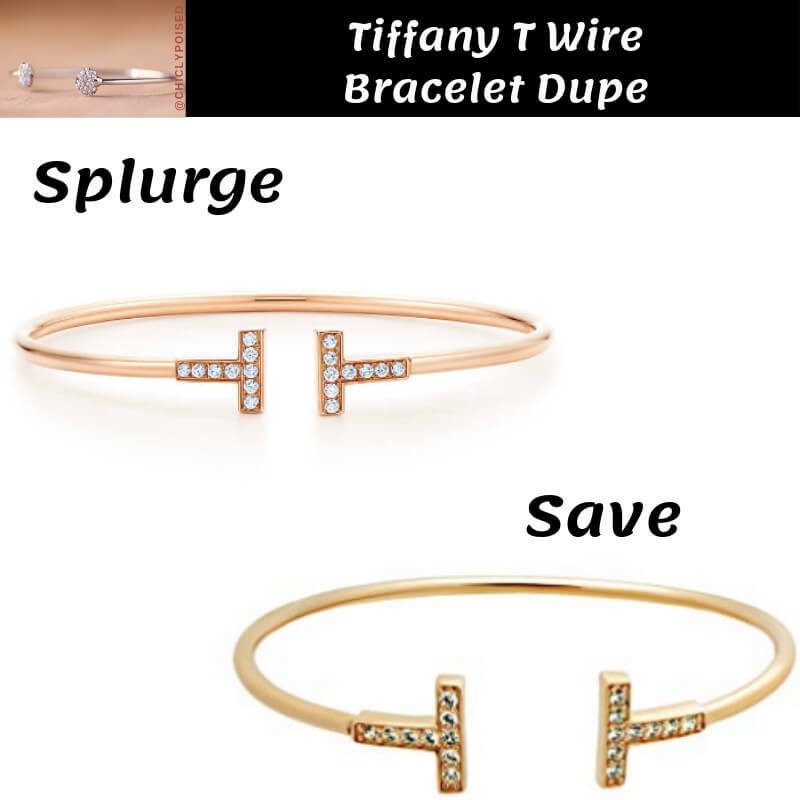 Some of these jewelry pieces look fantastic, but it’s better to be well informed before spending your hard earn money. 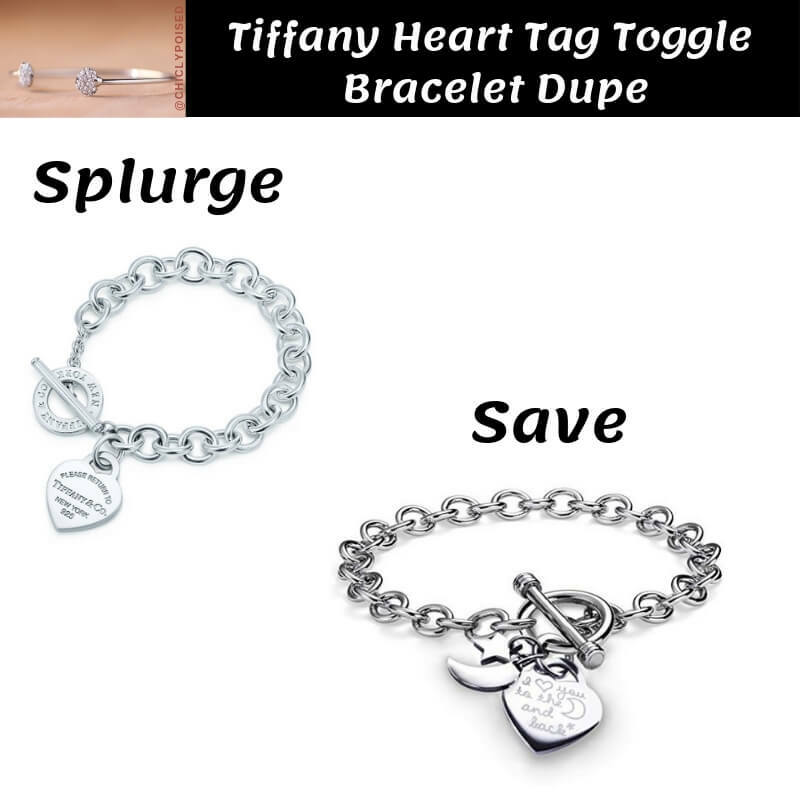 Share these amazing deals with family and friends!